As World War II draws to a close, Jakób fights with the Polish resistance against the crushing forces of Germany and Russia. They intend to destroy a German troop transport, but Gretl’s unscheduled train reaches the bomb first. Gretl is the only survivor. Though spared from the concentration camp, the orphaned German Jew finds herself lost in a country hostile to her people. When Jakób discovers her, guilt and fatherly compassion prompt him to take her in. For three years, the young man and little girl form a bond over the secrets they must hide from his Catholic family. But she can’t stay with him forever. Jakób sends Gretl to South Africa, where German war orphans are promised bright futures with adoptive Protestant families—so long as Gretl’s Jewish roots, Catholic education, and connections to communist Poland are never discovered. Separated by continents, politics, religion, language, and years, Jakób and Gretl will likely never see each other again. But the events they have both survived and their belief that the human spirit can triumph over the ravages of war have formed a bond of love that no circumstances can overcome. This international bestseller has now been translated into English! 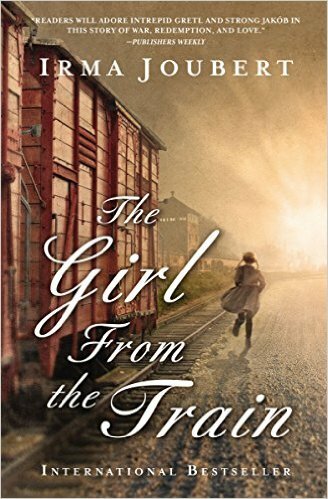 This tale of World War II is a life and death tale about a young Jewish girl who escapes from a train bound for Auschwitz and encounters Jakob, a fighter for the Polish resistance who is determined to reunite her with her family. The story is steeped in historical fact as the two protagonists struggle to overcome the brutalities of war. There is an underlying Christian theme throughout that lends a tone of love and faith throughout. This is a lovely tale of inspiration and enduring strength with many fascinating layers. One cannot help but fall in love with Jakob and Gretl and their viewpoint over the war and resistance. Beautifuly written, easy to read, and poignant throughout, this is definitely one book to savor! Delightful in all its aspects.